Is Clacton back on the rise as one of Britain's top seaside resorts? 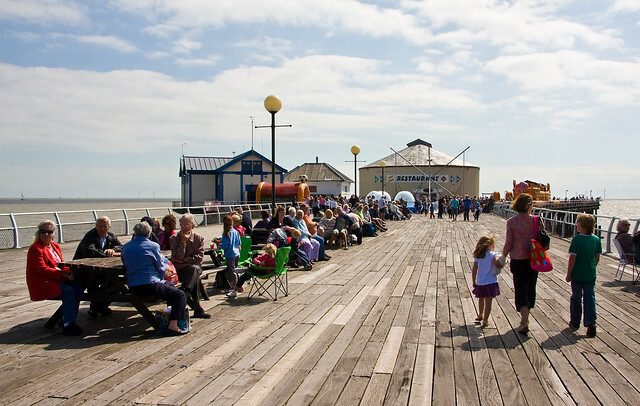 Clacton remains one of Britain’s most famous seaside resorts, and with new investment in to the town’s iconic pier and the trend for the staycation, could Clacton’s fortunes be set to rise, Petra Hornsby asks? We have the Victorians to thank for a seaside culture that is oh so very British. Transported by ever-expanding and quicker railways or along the coast by steam boats, families and workers took advantage of days off (thanks to the Bank Holidays Act of 1871) by flocking to coastal towns such as Bournemouth, Blackpool, Newquay and Southend. As well as larking about in the water, the Victorians enjoyed fairground rides, illuminations, food treats, brass bands and the entertainment provided in music halls. Visit Clacton on Sea today and you might be forgiven for overlooking its very significant history, but, if it hadn’t been for the Victorian entrepreneur Peter Bruff, the area might have remained as agricultural land. Bruff had recently completed work on nearby Walton on the Naze, renovating its pier and establishing a rail link. Next in his sights was 50 acres of land to the south which we now know as Clacton. The land deal was sealed in 1864 and by 1871 Clacton Pier was built and open to visitors arriving via ferries which landed at the pier. 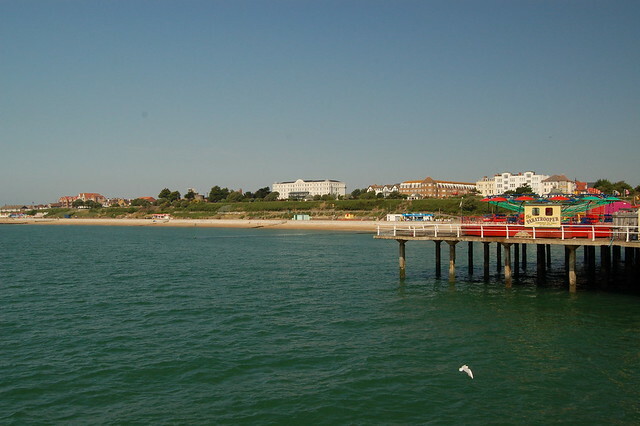 Clacton would grow into a famous holiday hotspot, thanks largely to the investment of Billy Butlin. Butlin’s Holiday Camp opened in 1938, coinciding neatly with the introduction of The Holiday Pay Act which entitled workers to pay during holiday time. At its peak, the camp accommodated up to 6,000 holiday makers annually. As with most British seaside towns, affordable flights and cheap package holidays abroad signalled a decline in visitor numbers to Clacton and it is fair to say it has struggled to regain the popularity it once had, but there is a renewed sense of real hope and optimism. 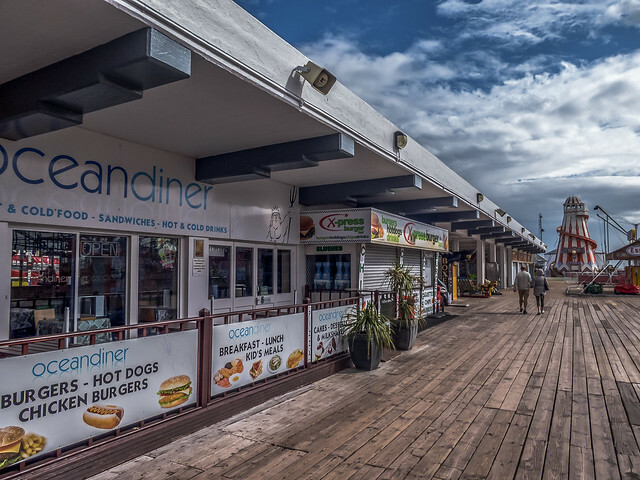 Clacton Pier remains a major business in the town and a key attraction. In 1893, the pier was lengthened and a theatre was built on it along with a pavilion later known as the Jolly Roger. Ernest Kingsman bought the pier in 1922 and set about transforming it into a major attraction. Current owner Billy Ball explains how his family came to take ownership of this famous landmark. “My family took over the running of the pier back in 2009,” says Billy. 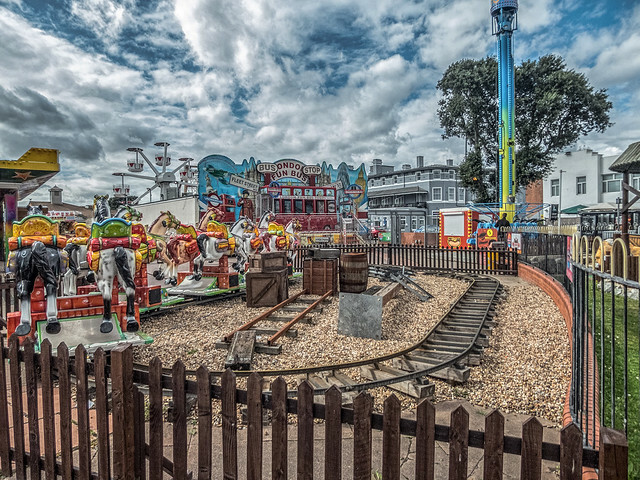 “We have always been involved in fairground rides and amusements. The family eventually settled in Clacton and expanded into other business ventures in the town. “We bought the pier from the Harrison family who had managed it for 50 years and now my brother and I run it,” continues Billy. “The town has changed since the closure of Butlins – which needed investment and was closed for clear commercial reasons – but we have had to readapt to a changing economy and now, although we have fewer holiday-makers, we provide for daytrippers who want a good, traditional seaside experience. Billy and his family are seizing this opportunity and recently announced a £4 million investment in the pier. Plans include an indoor and adventure golf course, an indoor play area, dodgems, new food and drink facilities and improvements to the aquarium and amusement arcade, as well as a large events space. “Our visitors are after a bit of seaside tradition and the past few years have seen a change for the better, partially thanks to some good summers. However, we still need to find a way to make the business sustainable throughout the year. “The project has been three-and-a-half years in the planning with subtle changes made during that time. We currently have 50 people working on site to achieve our completion deadline, which is July 21 and also the date of the pier’s 147th birthday. Billy is clearly dedicated to Clacton and this key feature of the town’s heritage. He describes what inspires him. “The hours are incredibly long, but it is rewarding knowing we are creating something unique and breathing life back into the pier. Another important venue and survivor of Clacton’s bygone days is the West Cliff Theatre. Bert Graham and his London Concert Company first arrived in 1884 to perform summer recitals in the open air on a patch of ground in Aldgate Road, where they were received with great enthusiasm. Five years later they returned and chose a new location – the West Cliff Gardens, which remained as an outdoor venue until 1928 when it was transformed by bricks and mortar and remains pretty much in its original character today. Many famous acts started their careers during the famous summer season at the theatre, when Clacton was at its peak as a the thriving family holiday location. To survive, it has weathered the mixed fortunes of ownership change as well as economic change, but now it is guided successfully by the West Cliff Theatre Trust and has a new theatre manager at the helm. Rob Mitchell-Gears is fresh into the job after 26 years at the Kenneth Moore Theatre in Ilford and while this is his first stint in such a role, he knows all about the magic of a seaside venue. Born in Clacton, he too performed at the theatre during its heyday when the likes of Ruthie Henshall were rising stars. Rob says: “Although things have changed over the years, there is a strong feeling that people have a real appetite for variety performance again. Perhaps thanks to shows like Britain’s Got Talent, people want to see magicians, feathers and sequins along with a little bit of cheeky seaside humour. “Audiences want good family fun and panto-style entertainment, but they also appreciate quality productions where they can see where money has been spent. “Although a venue like ours may not be able to afford the big names anymore, we can build relationships with local dance and performance schools and nurture college leavers who can become the names of tomorrow. Although Rob may be new to the role, he is full of enthusiasm and ideas not just for the summer, but throughout the year too. He’s also busy looking at next year’s programme. “The trust has been wonderfully supportive and open to new ideas. It is a fantastic venue considering it is almost entirely run by volunteers.